Thank you to all of our participants, volunteers, and sponsors! 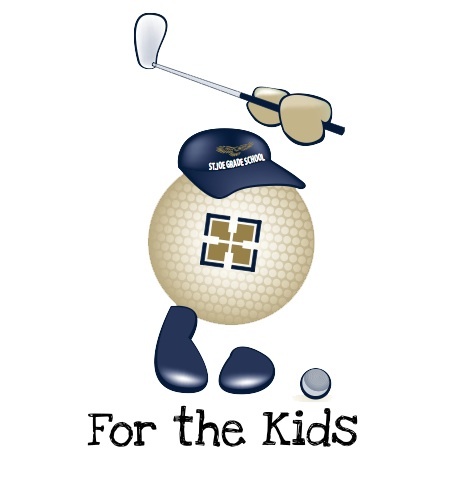 The 25th Annual "For the Kids" Golf Benefit & Dinner is taking place Friday, June 7, 2019. The benefit supports the SJGS Excellence Fund, which provides tuition assistance and other essential needs to support the mission of Saint Joseph Grade School, the educational ministry of Saint Joseph Parish. NOT A GOLFER? It's a scramble format so don't worry about it! Anyone is also welcome to join for dinner! WHAT ELSE? Golfers and non-golfers alike are invited to join for the awards and dinner immediately following at Brookwood. WHY? Benefitting the the SJGS Excellence Fund. Your participation and/or contribution helps support Saint Joseph Grade School, including helping families afford the cost of Catholic education. Thank you for supporting the cause by joining for golf, dinner, or supporting the event as a family or business sponsor! Online payments are now accepted for donations, sponsorships, and golf/dinner tickets! Tickets on sale after all Masses and at the school office starting in May. *The minimum age to play is 8 years old; no children are allowed to drive carts; everyone must have their own clubs; and all on the course must be playing. FOR MORE INFO: Contact Brendan O'Shaughnessy.